Industrial Airfoil Bladed Centrifugal Fan with efficient airfoil blades are recommended for all supply air and clean air exhaust ventilation systems, as well as variable volume air systems. Backward Inclined Ventialtors, Radial Tip Fans and Radial Bladed blowers. Rugged steel fan / blower wheels are ideal for dust conveying or other industrial airstreams, erosive ventialting installations, and material handling fan systems. 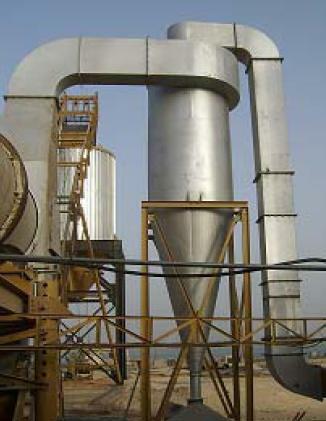 The cyclone dust collector has tangential inlet which gives the gas flow rotating movement whereby the dust particles are driven towards the envelop surface where they are screwed down. Industrial Fan Co. cyclones are supplied in Carbon Steel / Stainless Steel / Fiberglass construction depending upon collected dust type. 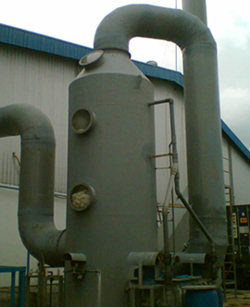 Wet type dust collector is a low pressure, high efficiency collector for coarse dust which settles in water rapidly. The efficiency is as high as 95% for particle size up to 5 micron, without power water circulation. Thw cartrifge dust collector filter contains a number of hose made of fabric material. The dust laden air or gas is passed through the walls of of the hoses from inside to outside or in the opposite direction - outside to inside. The dust is deposited as a layer on the inside / outside of the hoses. The dust is dislodged to the dust hopper by shaking / reverse high pressure jet pulse of air.